Nashville, TN (February 16, 2017) — Sequels are often highly anticipated and William McDowell’s follow-up to the 2016 top-selling “Sounds Of Revival” is no exception. The Grammy® nominated, prolific worship leader is set to release “SOUNDS OF REVIVAL II: DEEPER” on March 3. Touted as an ‘all-star’ project “SOUNDS OF REVIVAL II: DEEPER” offers never-before-heard live performances from McDowell’s Baton Rouge concert recording. 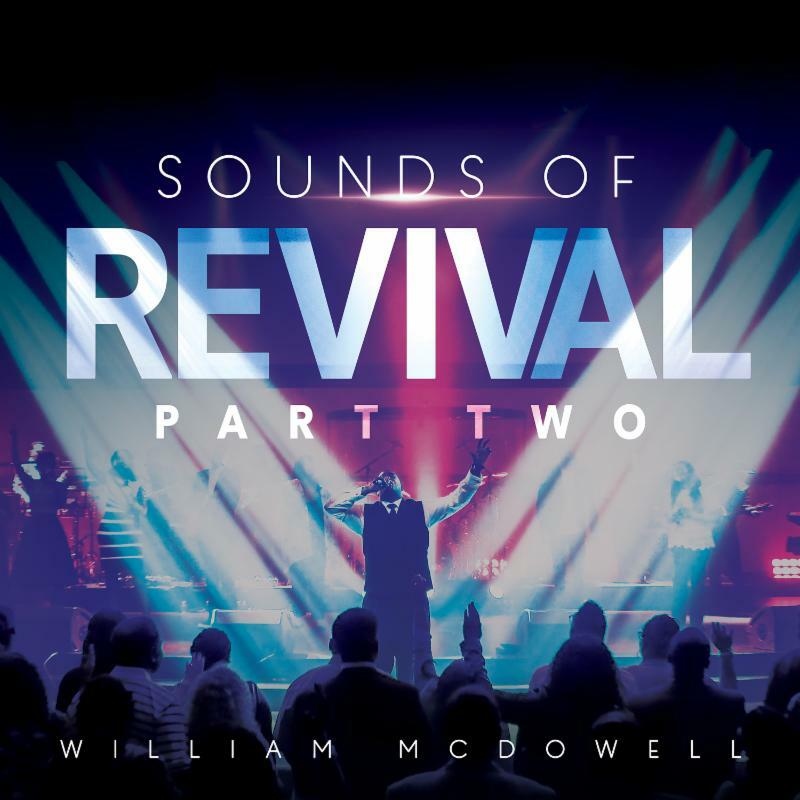 McDowell presented his local community of singers on the first ‘Sounds of Revival’ while “SOUNDS OF REVIVAL II: DEEPER” displays a community of world renowned worshippers. The album is full of special appearances by Tina Campbell, Israel Houghton, Travis Greene, Nicole Binion, Jonathan McReynolds, Brian Courtney Wilson & Jonathan Stockstill, and the return of Charles & Taylor. Tina Campbell joins McDowell, on the current single “Come To Jesus.” The sweeping altar call ballad is a pleasant departure from McDowell’s usual offering. There is a refinement in the song’s simplicity as the two match vocals wonderfully. Authentic and powerful, “SOUNDS OF REVIVAL II: DEEPER” presents genuine worship songs that flow beautifully from one to another. Fans will receive 3 immediate downloads when pre-ordered on iTunes: “Come to Jesus,” with Tina Campbell, “It Is So,” featuring Travis Greene and “In Your Presence,” with 5x Grammy winner, Israel Houghton. In support of the release, as he did with his award-winning “Withholding Nothing,” William will again offer 7 Days of Worship. The last streaming event attracted viewers from 127 nations in 7 days. He will stream the full Sounds of Revival experience for free on williammcdowellmusic.com starting February 24 until March 3. This allows fans from around the globe to participate in this awesome worship experience. William McDowell is a prolific worshipper, songwriter, singer. He is a Grammy Award nominated artist and multiple Stellar and Dove Award winner. He is the lead pastor at Deeper Fellowship Church in Orlando, FL. “SOUNDS OF REVIVAL II: DEEPER” in stores and online everywhere March 3, 2017.